On Morocco’s old pirate coast, in the city of Salé, a new generation of pirates are setting sail in Morocco’s first contemporary circus school. Cirque Shems’y sits on the edge of the city’s slums, and hundreds of teenagers come to audition here each year, looking for a different future. Pirates of Salé follows a tough journey of transformation as four young Moroccans learn to live independently, express themselves, challenge convention, and embrace a totally alien concept: artistic freedom. Hajar came to the circus as a young girl after living on the streets. A fine trapeze artist, she struggles to discipline her own volatile nature. 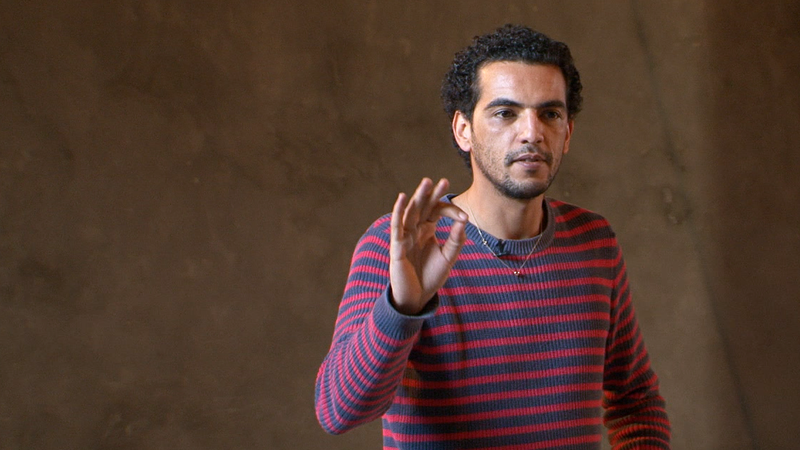 Imed is a dazzling performer who sees circus as a way to challenge corruption and spark social change in Morocco – if the talent scouts don’t lure him to Europe first. Having finally won a place in Cirque Shems’y after four years, Ghizlane's family don't approve and she will have to fight to stay in the circus. The youngest of eleven children, Abdelali and his mother hopes his circus skills will bring the family the income they desperately need. Their charismatic director, Jawad, has a driving mission: to develop a 100% Moroccan performance group who can hold their own on the international stage. In his words, “we will be the pirates of art”. His methods are unorthodox, the outcomes fiery, but his ambition is unstoppable. Pirates of Salé follows the young performers from audition to the city wide show, 'Pirates', when the eyes of the nation will be on them. They fuse circus skills with contemporary dance and theatre to create spectacular and provocative performances drawn from their own experiences on the city streets, and inspired by the city’s pirate history and Moroccan society and culture. As Cirque Shems’y works to create a truly Moroccan circus experience, can these young Moroccans make art which provokes debate and creates change? How will they reconcile the demands of family, community and culture with their development as individual artists? Will the temptation of emigration to Europe overcome their commitment to a new Morocco? For Hajar, Imed, Abdelali and Ghizlane, can the circus deliver a better future?